From 1989 he led the Committee of the Nagorno Karabakh Self-Defense Forces, and from 1992 - the Nagorno Karabakh Republic Self-Defense Forces Committee, which became the basis for the NKR Defense Army. 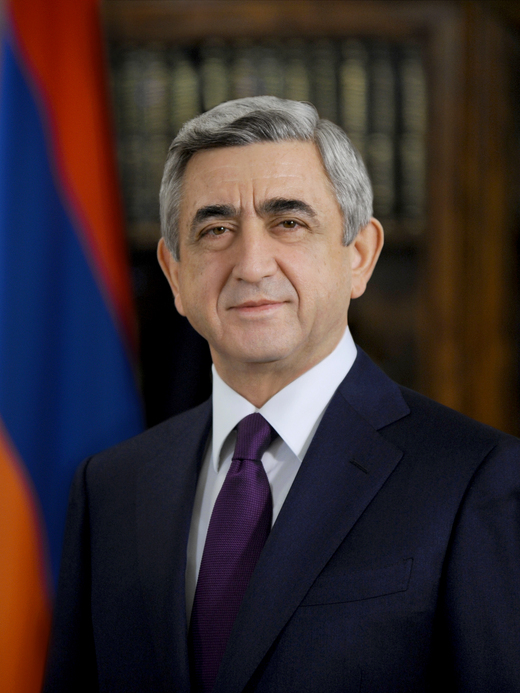 Serzh Sargsyan was elected President of the Republic of Armenia in the Presidential elections of February 19, 2008. The inauguration of the President-elect took place on April 9, 2008. 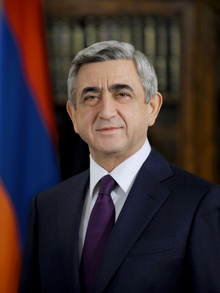 Serzh Sargsyan was re-elected for his second term as President of the Republic of Armenia on February 18, 2013. He was inaugurated and assumed office on April 9, 2013. On April 17, 2018, he was elected Prime Minister by the National Assembly and appointed to the post of RA Prime Minister in accordance with a presidential decree. On April 23, 2018, he submitted his resignation. From 2006 to 2018 he was the President of the Council of the Yerevan State University. Since 2004 he has been the President of the Chess Federation of Armenia. Serzh Sargsyan has been conferred the Hero of Artsakh title, "Golden Eagle" order, the Republic of Armenia orders of the "Battle Cross" of the I rank and "Tigran the Great", other state awards. Serzh Sargsyan has two daughters — Anush and Satenik, two granddaughters — Mariam and Rita, three grandsons - Ara, Serzh and Tigran.